The EDA Revolving Loan Fund Program is a staple of the federal economic development access to capital delivery system. The program, established in 1975, is designed to provide grants to state and local governments, political subdivisions, and nonprofit organizations to operate a lending program that offers low-interest loans to businesses that cannot get traditional bank financing. Grant recipients are required to manage their RLF according to their RLF administrative plan, a document that describes the lending strategy and administrative procedures for a specific RLF project. The EDA has charged CDFA with developing an education program which will help to improve this crucial program. 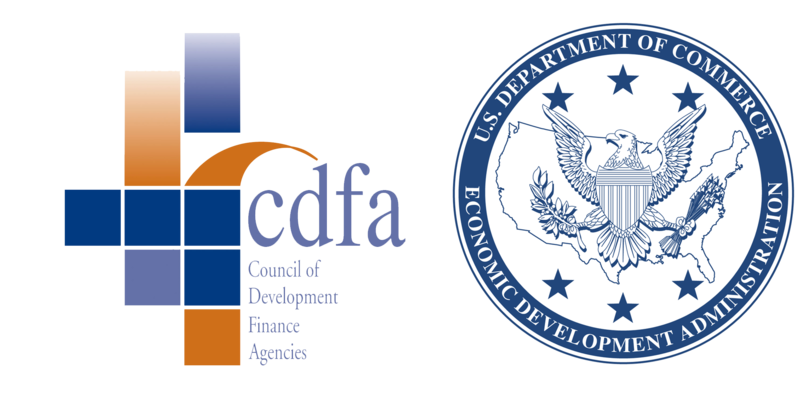 CDFA has worked with the EDA to develop an innovative technical assistance approach to better support and improve the more than 500 EDA funded Revolving Loan Funds in the United States. The CDFA EDA RLF Best Practices Program will include a diverse set of offerings that will encourage learning, best practice collaborations, evaluations of service efficiencies and improvements, and a comprehensive resource collection and dissemination process. CDFA will present its comprehensive Intro Revolving Loan Fund Finance Course once in each of EDAs six regions. The course curriculum will be tailored to address the specific needs of EDA RLF grantees with a focus on introductory elements related to program design, marketing, management, decision making, pre- and post-loan closing processing, disclosure and monitoring, underwriting strategies, program expansion, evaluations and program risk strategies. Understanding that not all RLF grantees will have the resources or ability to attend in-person training, the CDFA EDA RLF Best Practices Program will offer an exclusive online learning environment through CDFAs established webcast system. This learning module will include twelve, ninety minute, webinars focused on specific RLF program management best practices. CDFA and EDA will match low performing loan funds with high performing loan funds over the duration of the program in order to encourage learning from best practices. CDFA staff will lead conversations and pairings with most exchanges occurring as scheduled web meetings. Peer-to-Peer learning participants are encouraged to attend the regular webinars and then hold a follow-up meeting for a peer exchange on the same topic. CDFA will hold a two-day EDA Revolving Loan Fund Training in each of the six EDA Regions between 2018 and 2019. More information about each training will be available soon. Check back often to see final locations, agendas, and speakers. Hundreds of Revolving Loan Fund programs exist nationwide that are underutilized and in many cases unknown to the business and development industry. Marketing the RLF is a critical component in operating a successful program. A RLF agency should consider a variety of outreach methods in their specific community or region that can be employed in a marketing program. Listen as our expert speakers discuss the best practices and innovative strategies they have learned and developed in marketing their RLF programs. Register in advance to confirm your participation and receive login information. Registration is free and open for all EDA RLF grantees. The varying size of Revolving Loan Funds leaves many organizations without the financial and staff capacity to effectively support all aspects of a lending program and building partnerships can enhance it's effectiveness and impact. Key partnerships could include providing technical assistance for borrowers, outsourcing the servicing of the portfolio, or even in some cases, partnering with another organization that can assume the management of the entire RLF program. Listen as expert speakers discuss the various partnerships your organization can structure in order to maximize your RLF's impact. Designing the Revolving Loan Fund is one of the most critical aspects of the program process. It is at this time that key elements of the program will be determined and outlined. The design process should be thorough and clearly defined to address the goals and objectives of the RLF while also clearly outlining the expectations of borrowers. It’s important to have regular reviews of the RLF program to make sure it is still relevant and effective. Listen as our expert speakers discuss how they have modified their RLF plans to maintain a program that is applicable and attractive in today’s economy. Fund recapitalization can come from many sources, including local, state, and federal governments or financial and philanthropic institutions. Depending on the source, there may be certain requirements that need to be satisfied when moving through the actual lending process. In addition, there may be further reporting that is required. Before applying for additional capital, it is important to understand the landscape of recapitalization sources and the pros and cons of each source. Listen as our expert speakers discuss myriad sources for recapitalization and expansion of your Revolving Loan Fund programs. As part of the CDFA EDA RLF Best Practices Program, CDFA and EDA will be offering a Peer-to-Peer Learning Exchange. CDFA and EDA will match lower performing loan funds with higher performing loan funds over the duration of the program in order to encourage discussions about best practices related to managing and operating EDA revolving loan funds. CDFA staff will lead conversations and pairings among EDA RLF grantees. Interactions will include online learning, phone calls, and gatherings at RLF training courses and the CDFA National Summit. Pairs will be matched from different EDA regions. Each pair will need to identify five main goals to achieve during the exchange and submit a workplan to CDFA. Then structured conversations and in-person meetings will occur throughout the life of the program. CDFA will request regular follow-ups and provide monitoring. CDFA will facilitate in-person conversations to develop meaningful dialogue and to help pairs demonstrate progress in achieving their five goals. Peers will create a workplan that includes five goals for the exchange. These goals will be designed by the peers themselves and monitored by CDFA over the course of the exchange. Peer matches will be required to submit a summary of their discussion on each goal by specified dates. Question sets will be delivered by CDFA after each webinar to facilitate a peer discussion on the webinar topic. Peers will gather at the CDFA National Development Finance Summit to discuss progress on their five determined goals during a facilitated one-day workshop. As part of this program, each person participating in the Peer-to-Peer Learning Exchange will be given a complimentary registration to attend the entire CDFA National Development Finance Summit. The CDFA EDA Revolving Loan Fund Peer-to-Peer Learning Exchange is a unique offering that will require the dedication of several hours of time by mentors and mentees and CDFA expects that all EDA RLFs selected to participate in the exchange will continue to participate throughout the entirety of the two years. The Peer-to-Peer Learning Exchange is open to any EDA RLF grantee, and CDFA encourages all staff members responsible for the EDA RLF to participate. Organizations interested in participating in the Peer-to-Peer Learning Exchange should reach out to CDFA. The EDA Revolving Loan Fund Resource Center hosts a vast collection of EDA Revolving Loan Fund resources including presentations, best practices, case studies and archives of learning materials from webinars and training sessions.